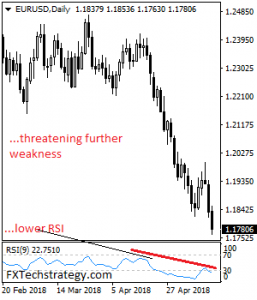 EUR/USD: The pair faces further bear pressure as it continues to hold on to its bear pressure. On the upside, resistance comes in at 1.1850 level with a cut through here opening the door for more upside towards the 1.1900 level. Further up, resistance lies at the 1.1950 level where a break will expose the 1.2000 level. Conversely, support lies at the 1.1700 level where a violation will aim at the 1.1650 level. A break of here will aim at the 1.1600 level. Below here will open the door for more weakness towards the 1.1550. 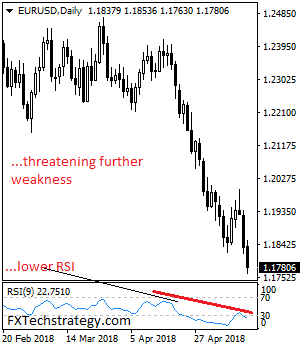 All in all, EURUSD faces further downside pressure.